Gonzalez Law Associates is the greatest place to go when you need the support of a leading DUI lawyer near White Plains NY and the Westchester County NY area. A lawyer for DWI with a solid reputation and years of experience is very important to find when you’re facing charges of operating a vehicle while under the influence. It is possible for breathalyzers to give inaccurate readings, or for people to make errors. Our attorneys are knowledgeable about the proper police procedures for dealing with DUI offenses and know precisely how to challenge the evidence against you in case the officer deviated even slightly from departmental policies. You will find there are serious penalties for driving under the influence, which range from fines and attendance of drunk driving prevention classes, to fines together with an extended duration of incarceration. A DWI charge can do a great deal of damage, from ruining your financial stability to separating you from your family and friends for months if not years. Even if law enforcement made no mistakes when they arrested you, Gonzalez Law Associates, being a highly recommended choice for a DUI attorney near White Plains NY and the Westchester County NY area, has the expertise and ability to convince the court to reduce your sentence in specific circumstances. When you’re in need of a DWI lawyer near White Plains NY and the rest of the Westchester County NY area, the extensive knowledge we possess at Gonzalez Law Associates will prove extremely helpful. It is prohibited in the state of New York to operate a motor vehicle if you have a BAC, or Blood Alcohol Content level of .05% or above, .05% in Connecticut. It’s possible to be prosecuted for being suspected of driving under the influence of drugs or alcohol, regardless of whether or not a breathalyzer test was given or not. This is the reason it’s crucial that you contact us if you’ve been charged and want a lawyer for DUI near Westchester NY. As a DUI law firm near White Plains NY and the rest of the Westchester County NY area, we’ve got years of experience defending people like you police arrested for driving under the influence in Westchester County NY. All the evidence the arresting office supplied to the prosecutor’s office will be gathered and thoroughly analyzed. We’ll speak to you prior to the court date to develop the most effective defense strategy possible following this exhaustive evaluation. When there is an issue with the way the arresting officer performed the field sobriety test or breathalyzer, or possibly a break in the chain of custody in the drug testing, it’s quite likely the charges for driving while intoxicated against you will be dismissed. In addition, we’ll request the court to expunge or seal the record of charges against you to prevent potential difficulties with employers or others who want a criminal background check from you. This is why it helps to have a attorney for DWI near Westchester NY and other areas that you’re capable of trusting. 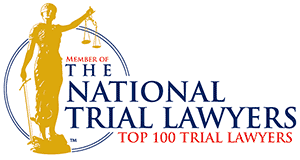 Among the things that makes us a top choice for a law firm for DUI near White Plains NY and the rest of the Westchester County NY area is the fact that we have an extensive amount of experience in the area. Lots of people each year are wrongly accused and charged with DWI. Unfortunately, these cases are a regular occurrence. The apparatus used for field sobriety tests isn’t always completely exact, therefore it is possible to challenge the results. What a lot of folks don’t know is the fact that driving under the influence of specific prescription drugs is cause to issue a DUI. Remember also, it’s feasible for the police to issue a DWI even if you are not actually operating the auto. Even if you just have the keys within the ignition, or even merely in the vehicle itself, it is possible for you to be issued a DWI. This occurs often since sometimes individuals will simply sleep it off inside their car simply because they’ve got no place else to go, or are having a smoke as it’s cold outside. If you learn that you’ve been charged with DWI unjustly, we will interview witnesses supporting your claim that you didn’t have any intention of driving. If we find these witnesses to be credible and their testimony able to hold up under cross-examination from the prosecution, we’ll subpoena these individuals to testify on your behalf. With strong evidence of your intention to refrain from driving, in the unlikely event that the prosecutor’s office doesn’t consent to dismiss the charges of driving while intoxicated, the court will likely dismiss them. Having the experience and skill to make this happen is what makes us a top choice for a DWI attorney near White Plains NY and the rest of the Westchester County NY area. We have experience in a wide variety of kinds of cases at Gonzalez Law Associates, meaning we are a perfect choice when you’re looking for a federal criminal defense attorney near White Plains NY and the rest of the Westchester County NY area. Contact us right away and let our knowledge and experience work to your advantage.